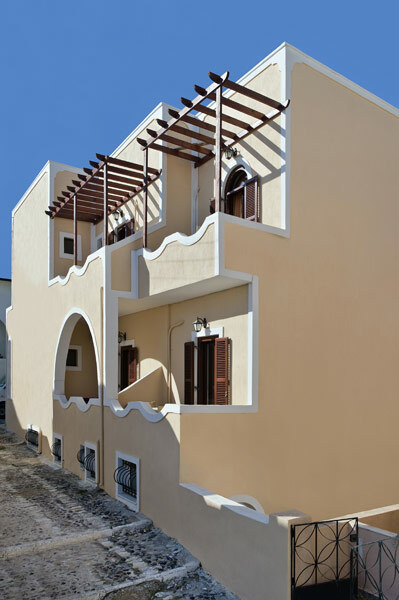 San Giorgio Villa is a newly built complex located in the center of Fira in Santorini. 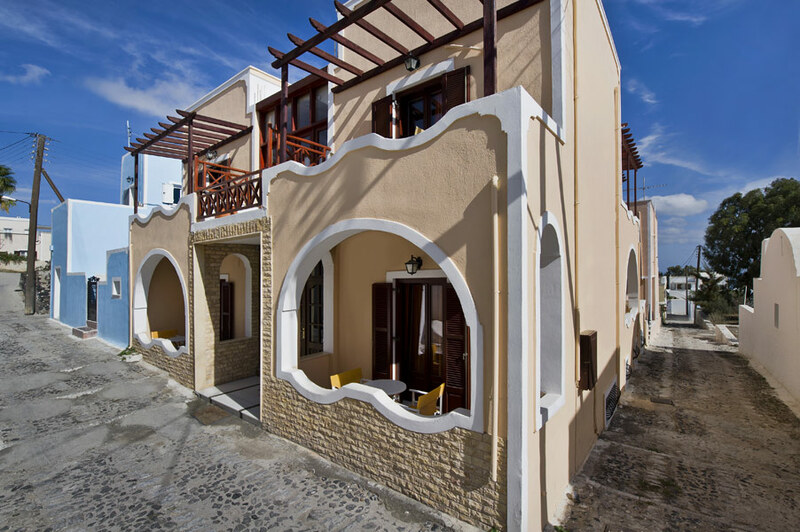 It is situated amongst picturesque traditional island homes and cobblestone roads. 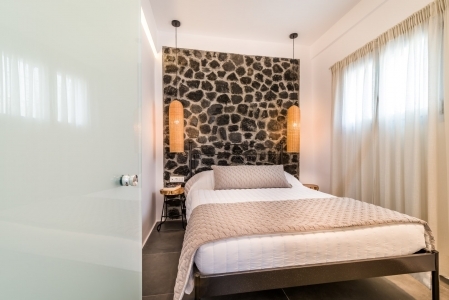 At Villa San Giorgio our guests are guaranteed a pleasant stay as the hotel staff is friendly and helpful. At the reception desk our guests will be able to be informed about what to see on the island, to rent a car or moped, to book boat tours around the island. At Villa San Giorgio our guests are guaranteed a pleasant stay as the hotel staff is friendly and helpfull. There is a central parking area, central safe box, daily cleaning services and left luggage room. We were very comfortable there. The staff very nice and helpful. Close to everything but out of the crowd. Very kind and helpful staff. Absolutely nothing to complain. I would definitely come back! We really enjoyed ourselves in this hotel. 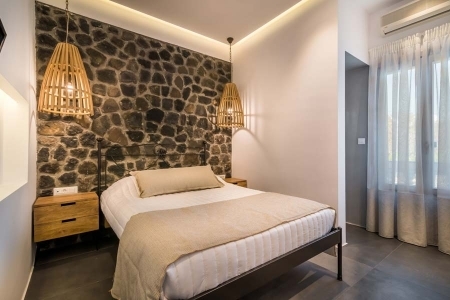 Location is good, right in the centre of Fira and walkable to bus station. We love the room too, bed is very comfortable. The host makes this trip even wonderful that he provides us a free transfer to the airport on last day. We will definitely stay here again if we come back to Fira! Great place to stay while exploring the island. 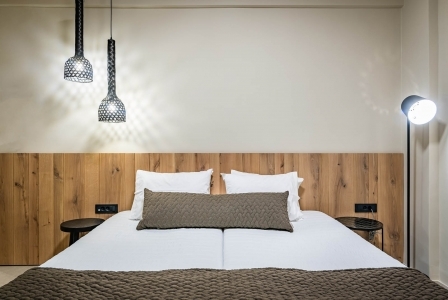 Clean, cozy, convenient at the city center. Free airport pick up. We loved this hotel in a great location in Fira. Our extended family had three rooms here. They were all up-to-date clean and comfortable. Pretty view from the terrace and walkable to all of Fira. Angelo and Nick were so helpful, from picking us up at the airport to suggesting local restaurants. A great value in Santorini. We would definitely stay here again. L?h?tel est tr?s bien situ?, proche du centre sans les inconv?nients du bruit. Tr?s bon rapport qualit?-prix. Seul b?mol, la chambre situ?e ? c?t? de l?entr?e, un peu bruyant parfois. Nice little hotel, very clean, very friendly staff. Shower wasn't working perfectly the last days but the owner wanted to check on it. We changed rooms because of an extended stay, mattress in the last room could need a little renewal; you can feel the springs under your bare hand. Other than that we were very satisfied and recommend this hotel to all kind of travelers. This hotel was perfect for us. A good price for Santorini. Very comfortable and large room. Staff were very helpful. The free airport pickup was a nice surprise. 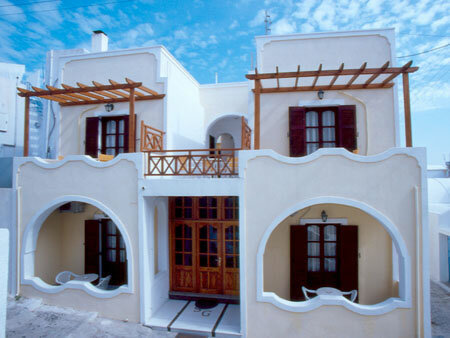 I loved the San Giogio Villas for my short stay in Santorini as a solo traveler. It was very affordable and I felt very welcomed and safe. The Property is very clean and comfortable, in a great location in the center of town, and provides excellent customer service with a smile! They provide coffee, tea, juice and delicious cake in the morning. The front desk is staffed 24-hours and luggage assistance was greatly appreciated. I would definitely come back! Loved this hotel and the owners! My girlfriend and I stayed here on a recent trip and it was amazing. The hotel was perfect and the owners were more than accommodating for our every need! can't wait to come back! Love this little place. Charming and centrally located. Cosmores give you the guarantee that you pay the lowest price possible for this Hotel. 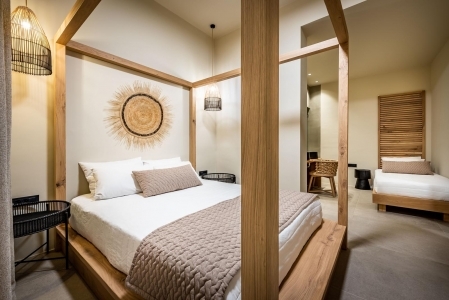 Should you find your hotel room, with the same booking conditions, at a lower rate on the internet after you have booked, this Hotel will match it. Just contact us within 24 hours of booking, with details of the website. Here you are in direct contact with the Hotelier! Click this link for more details.